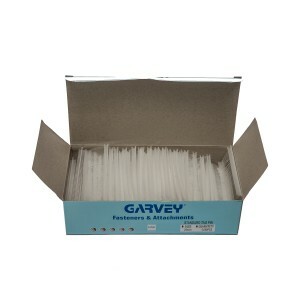 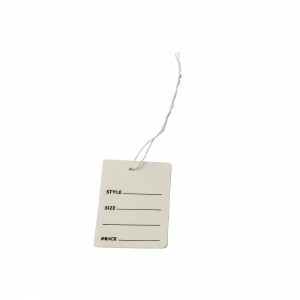 A box of 1,000 white garment tags with strings. 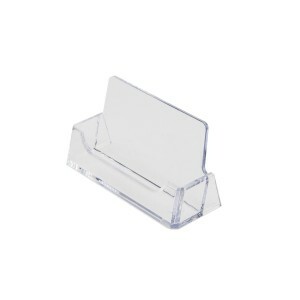 Acrylic counter top glass display holds 6 pairs of glasses. 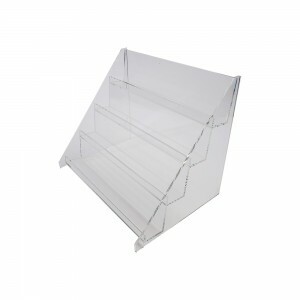 It is clear and slightly slanted to display product which is mostly different types of glasses and sunglasses. 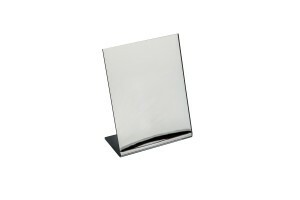 Perfect for counter tops has flame polished edges. 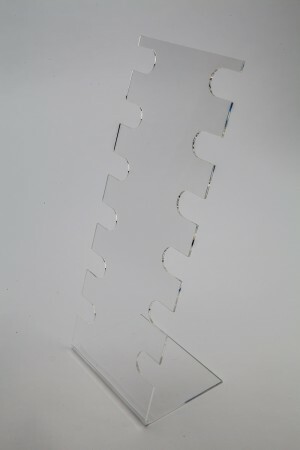 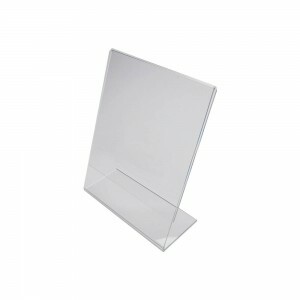 1 1/4" W x 1" D x 3/8" H sign card holder block is clear acrylic low profile that easily slip in cards and tickets in place. 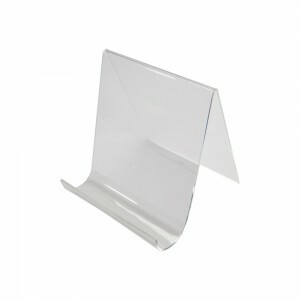 Vertical Clear Acrylic Slightly Slanted Paper Sign Holder. 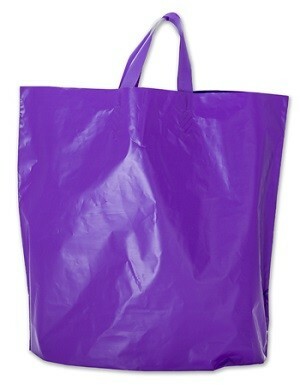 A pack of 250 purple shopping bags of dimension 15"H x 16"W x 6"D is used for commercial and domestic usage. 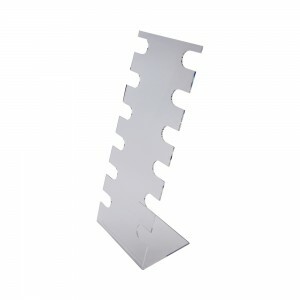 It features white flex-loop handles for easy transport and is made of recyclable material. 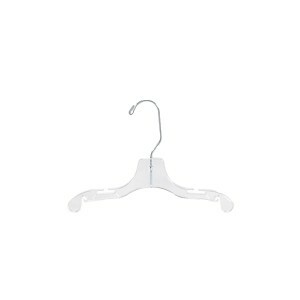 Clear 10" children's plastic hanger with a chrome swivel hook and notches in the shoulders are designed with strength. Chrome hanger stacker holds approximately 5-75 hangers. 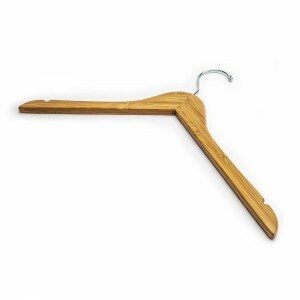 It minimizes clutter, hazard, and waste by organizing your hangers. 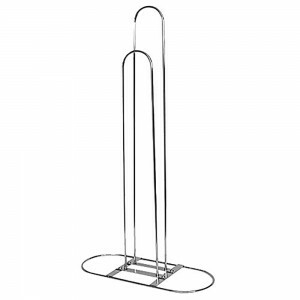 This hanger stacker is perfect for any retail store and helps to prevent breakage, keeping the hangers intact for repeated use. 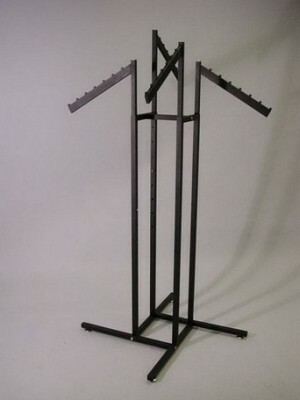 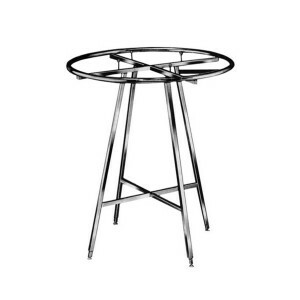 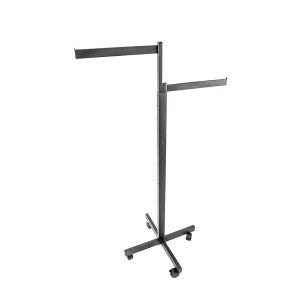 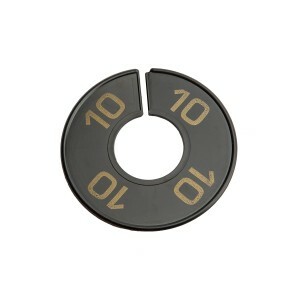 The clothing rack with 42" round diameter has adjustable height. 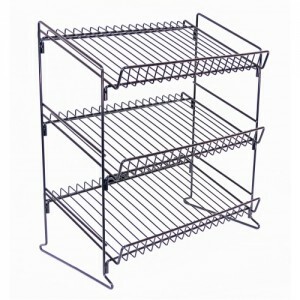 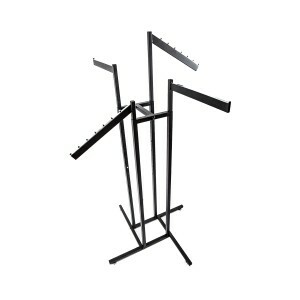 It includes rued tipped shelf supports for optional upper shelves and requires assembling. 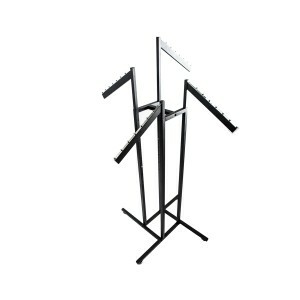 It creates fun, attractive merchandise displays and adjustable with easy push buttons that allow the transition of the height. 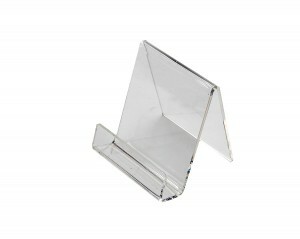 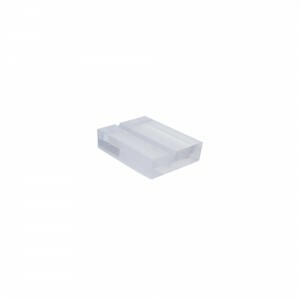 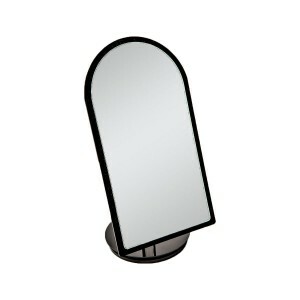 Countertop Acrylic Mirror 7" x 5"
Small acrylic mirror slightly slanted for easy use is perfect to use on top of jewelry display counter tops. 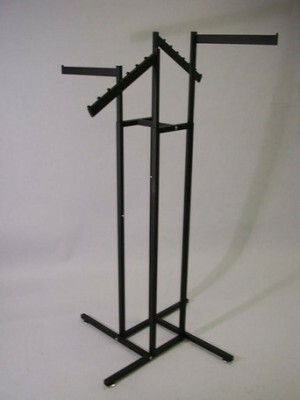 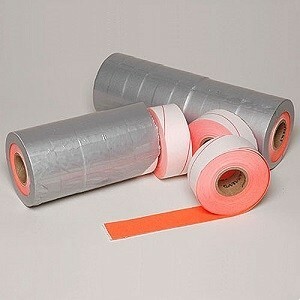 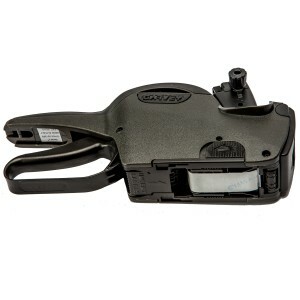 It is lightweight and maneuverable of dimensions: 3.75" H x 5.5" W x 2.75" D.